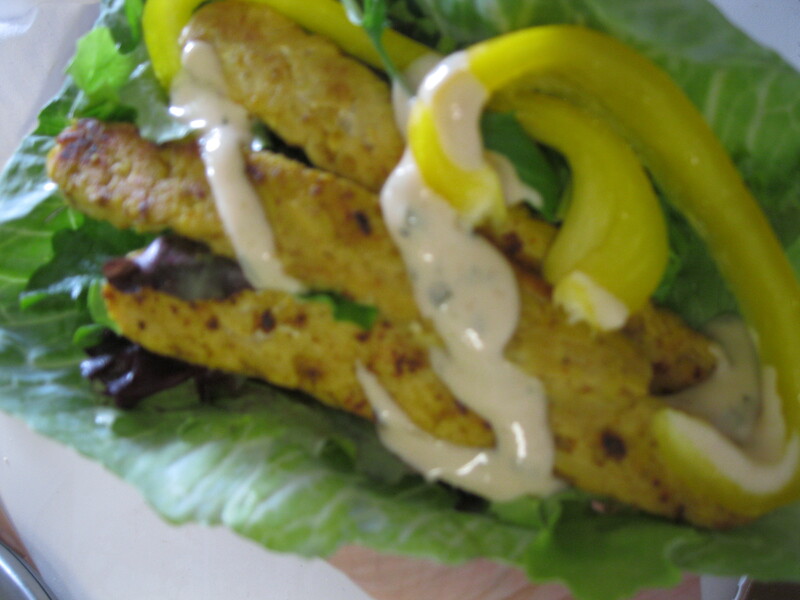 Move over lunch meat, it’s TEMPEH! 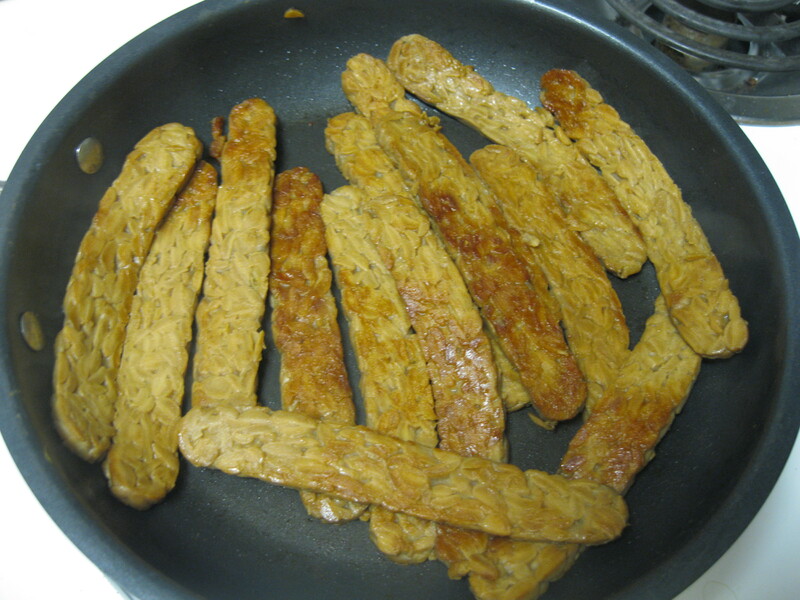 Tempeh is a vegan food product made from fermented soybeans. Before you turn your nose up at the idea of something being fermented, remember you’ve probably eaten a number of other fermented products including all alcohol, leavened bread, yogurt, buttermilk and cheeses. Fermentation adds a number of unique compounds not normally abundant in soy, in particular B vitamins. Vegans don’t always get enough B vitamins so it’s good to know good sources of these crucial nutrients along with protein, iron, calcium and trace nutrients like isoflavones and flavones that studies suggest may have preventative effects for heart disease and cancer. I usually treat it like bacon except that it’s actually good for you. I browned it lightly in a non-stick skillet and wrapped it up in a cabbage leaf with greens, bell pepper, and some Follow Your Heart sesame miso dressing that we’ve been enjoying for salads. I’m a big fan of tempeh and I hope you’ll get to know it a little better if you’re not friendly already. It’s awesome! I should try that Hickory smoke one. I was a bit worried that the taste is a bit weird. I’ve been seasoning my own tempehs, but this will be good to have for lazy days :). 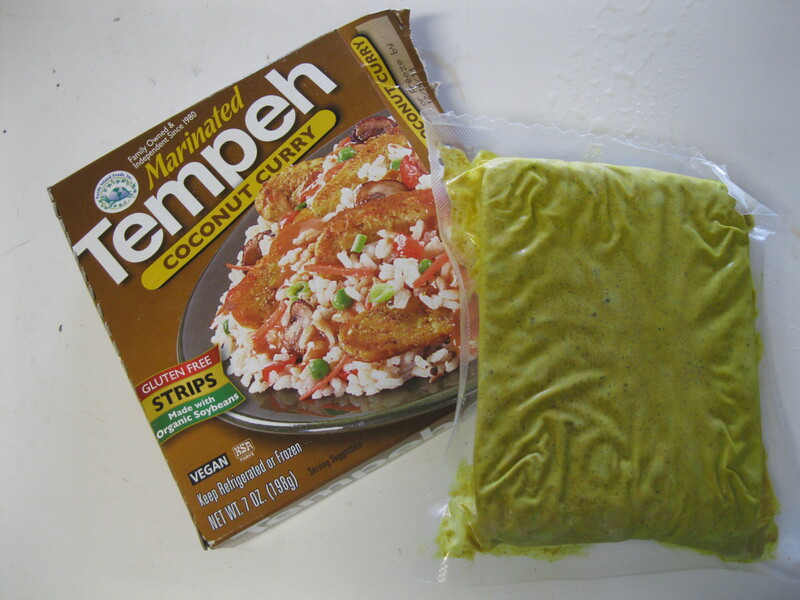 There’s something about tempeh that turns me off. I don’t know what it is! 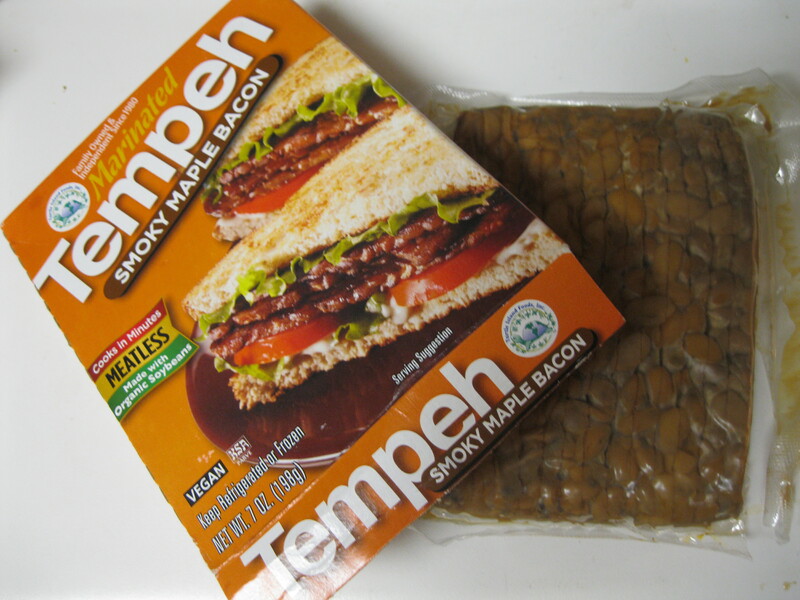 But I do have some of the bacon tempeh at home, so I’ll give it another go. LOVE their “bacon”–haven’t seen the coconut curry, but man am I intrigued! Another one of your posts inspired me to try tempeh. Straight out of the package, I thought it was disgusting and worried about the disclaimer on the back of the package that basically stated the parts that look like moldy bits are just natural and ok to eat. Ew, it’s a good thing I gave it a a second chance! I marinated it, then grated and pan fried it and added a can of black beans to make topping for a taco salad. I WILL be buying it again and I’m totally ogling the smoky maple bacon flavor! The first time I tried natto I had a reaction like Somer… now I buy that stuff in bulk. I think fermented foods (wine and cheese in particular) are very much acquired tastes. Anything that’s been around as long as wine, cheese, tempeh and natto can’t be too rough to acquire. right?